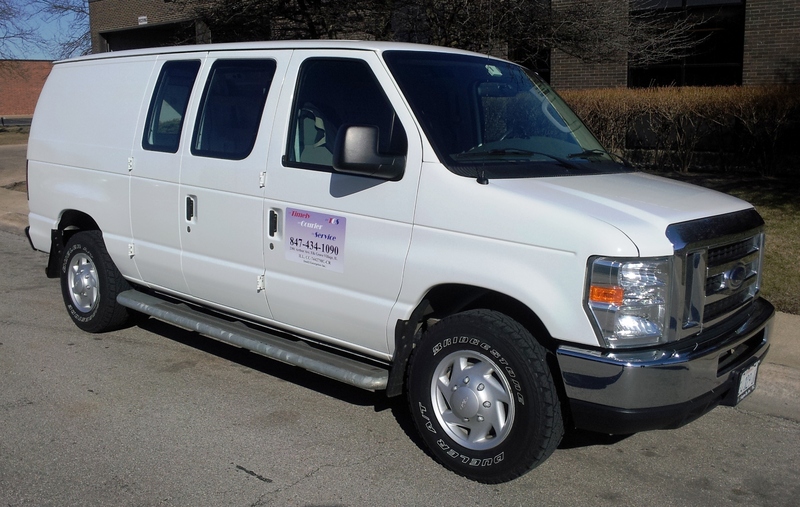 Greater Chicagoland Area: Envelope, Small Package, & Cargo Van Delivery, Local Messenger. Many levels of same day service. AIRPORT RETRIEVALS AND DELIVERIES. IF YOU ARE AN INDIRECT AIR CARRIER WE ARE THE COURIER FOR YOU. WE ARE LOCATED RIGHT OUTSIDE OF (ORD)O'HARE AIRPORT AND SERVICE (MDW) MIDWAY AIRPORT AS WELL. "Super Hot Rush" A.S.A.P. based on distance, traffic, weather etc. Express Service: Ready and called in before 3:00 p.m.
*Additional delivery time may be required during rush hour, inner-city traffic, inclement weather, and distances beyond 20 miles of pickup. Additional charges may apply during hazardous weather conditions such as heavy snow fall or sub-zero temperature. All Vehicle types available to meet your every need. Timely Courier has delivered everything from lost luggage to costumes on location at movie set's filming here in Chicago. We regularly deliver, legal documents, bids, plans/drawings, contracts, checks, proofs and finished printed matter. On a larger scale we deliver last minute building materials to job sites and finished product from manufacturing to the end user. We have the ability to do anything our clients may need and the experience to do it right.